When someone you care about has experienced a loss, it can be hard to know what to do. You might be afraid of saying the wrong thing or doing something to upset this person’s feelings further. Although you won’t be able to turn back time or take your friend’s grief away, there are various things you can do to support them and help them come to terms with their loss. If you’ve never suffered from a big loss before, you may find it harder to understand the grieving process. However, although you’ve never been through such a traumatic experience yourself, this doesn’t mean you can’t help your friend. Your friend may go through an array of feelings and emotions. They may experience shock, disbelief, anger, outrage, fear and loneliness, though there are countless other feelings that could occur. Remember that there is no ‘set in stone’ approach to dealing with a loss. Everyone comes to terms with it in different ways and while one person might appear to function day-to-day as if there’s nothing wrong, another might be visibly distressed and unable to do little things like get dressed or eat regular meals. Avoid telling the person what they should or should not feel. It’s vital that you let them grieve in their own way and avoid making comparisons with other people you know who may have suffered a loss too. When a person dies, it can be difficult to know what to say to their loved ones. Rather than sharing advice or trying to impart words of wisdom, listen to what the person who is grieving has to say. Be willing to sit peacefully and listen to them talk about their thoughts and feelings. In the days, weeks and months following the loss of someone special, the grieving person may find it difficult to carry on with their day-to-day life as they used to. If they’re expected to return to work sooner than they’d like, or the pressures of life begin to get on top of them, they may feel as though they’re being robbed of time to grieve. By offering to take on some of their errands, you could help to ease the strain and give them more time to come to terms with their loss. From doing a food shop for them to walking their dog, there are plenty of tasks you can temporarily take off their hands. It’s not unusual for those who are grieving to feel as though their friends ‘give up’ on them after the first few weeks of their bereavement. 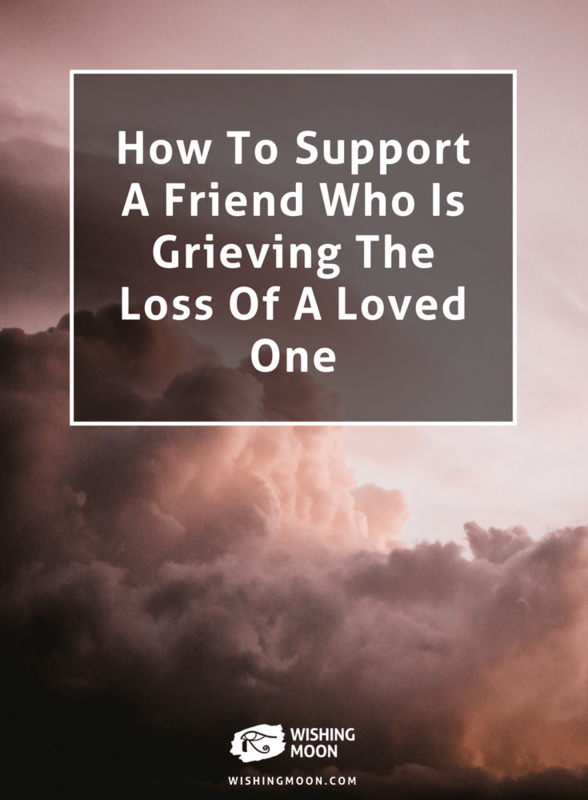 Even the most well meaning of friends sometimes fail to check in on the grieving person, assuming that they probably just want to be left alone. Keep in touch with your friend and make an effort to talk to them every few days, even if they don’t always respond. Whether you forward them a funny email, send a text to let them know you’re thinking of them, or give them a call, make sure you’re in regular contact.